As you may know, I am busy at work on my next book which I couldn't be more excited about. 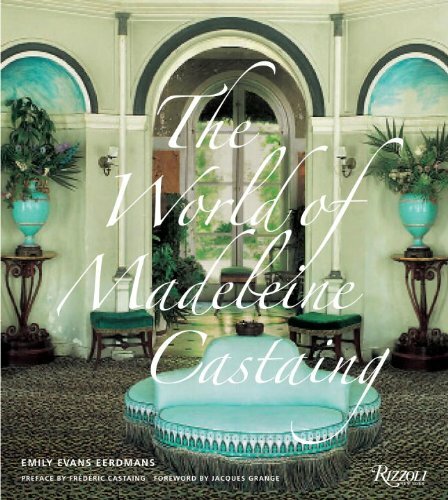 It is on the decorating master Henri Samuel whose career spanned most of the 20th century and whose clients included the Rothschilds, fashion designer Valentino, Jayne Wrightsman, the royal chateau de Versailles, and… you get the idea. After coming across this photograph of the designer with Ingrid Bergman at his country house, I thought perhaps the actress was also his client. 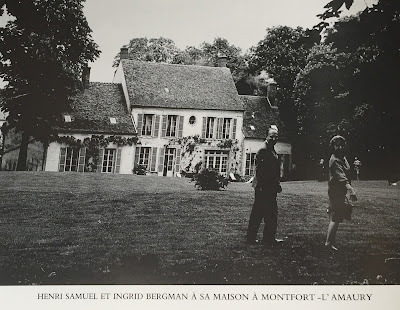 My new theory is that Bergman consulted Samuel while researching her role in the 1961 film Goodbye Again, in which Bergman plays a decorator in a love triangle with Yves Montand and Anthony Perkins. Read more about the film on The Peak of Chic (whose post sparked this hypothesis). I haven't found further confirmation in the Bergman archives at Wesleyan but I haven't given up. Can't you imagine the dishy stories Samuel might have shared with Bergman that weekend in these rooms? 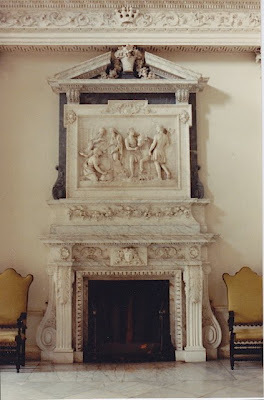 Editor's Note: A blazing fire struck Clandon Park weeks ago, reducing the house to a shell. 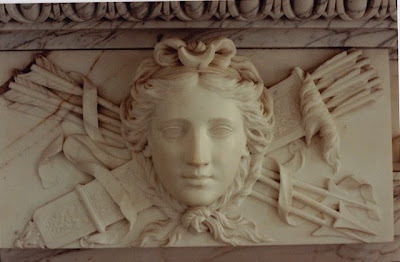 While the National Trust is still assessing the damage, the good news is that a large amount of the collection was saved and that perhaps a restoration of the house, along the lines of Uppark, might be possible. 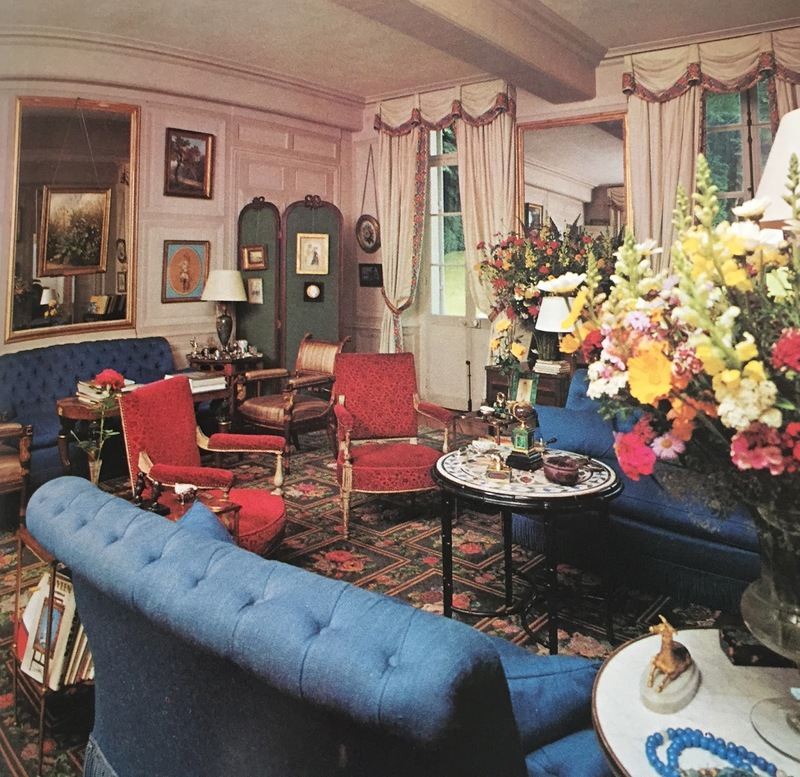 What is lost forever however is the John Fowler overlay of interpretation and decoration the house received in the late 50s and 60s. In memoriam, we are reposting this 2009 ode to the house by Toby Worthington. Travel does not entirely suit me. Preferring the comfort of my own bed and the meals that emerge from my own kitchen, I am content to sit in a comfortable armchair surrounded by piles of books on English houses. 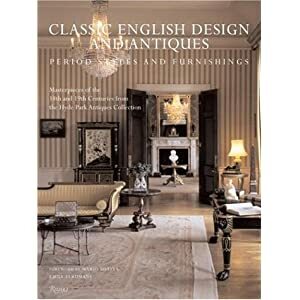 One of those books, indeed the best of the lot, was John Cornforth's The Inspiration of the Past; and on one occasion when I was poring over the author's evocative passages about the restoration of Clandon Park, my companion stirred me out of a trance with the simple question:"Why not see it for yourself?" That was twenty years ago and the journey was, I realize now, something of a pilgrimage that led to a close inspection of the finest example of John Fowler's work for the National Trust. 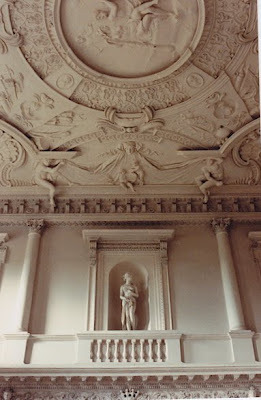 Built by the Venetian architect Giacomo Leoni for the 2nd Earl of Onslow in the 1720s, Clandon Park is a house that has been described, variously, as gaunt, forbidding, and unwelcoming~no doubt because, by the late 1960s, most of its contents had been dispersed; what funds there were had been spent on essential structural repairs, so that as a result, there was little to show for this in the appearance of the interiors. 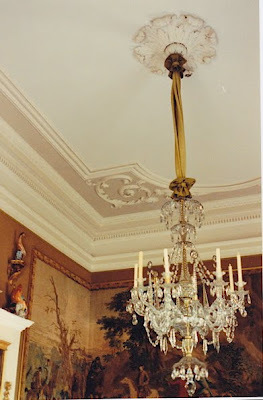 A fairy godmother appeared, not a moment too soon, in the form of a bequest, along with a substantial endowment, from Mrs David Gubbay (born Hannah Ezra, her mother was a Sassoon), and though her unrivaled collection of porcelain birds and satinwood furniture would seem at odds with the robust architecture of the house, those discrepancies of scale and weight would produce, in the skilled hands of John Fowler, one the most appealing rooms in all of Clandon Park, the Hunting Room. 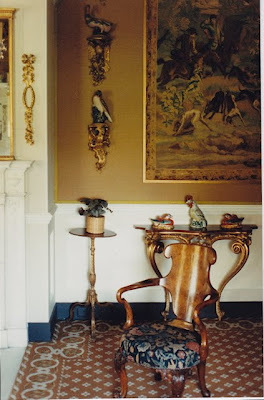 More of that anon; but first, a brisk tour of other parts of the house. 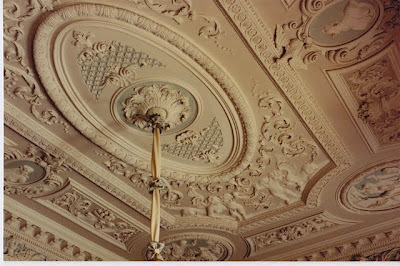 CEILING OF GREAT HALL, attributed to the plasterers Artari and Bugutti. 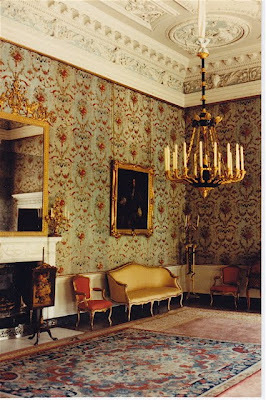 THE PALLADIO ROOM, in which the bold 1730 ceiling and the 1780 Revillon wallpaper were linked by color. 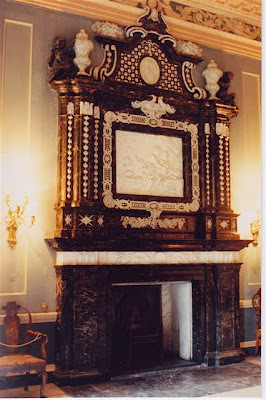 The overmantel, formerly whitewashed, was marbled to restore integrity to the chimney wall. 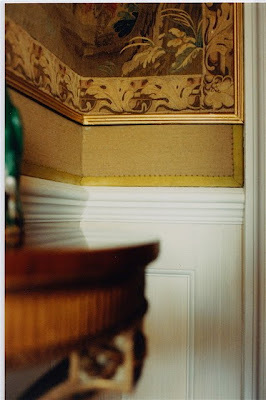 DOOR SURROUND IN THE SALOON Another lesson in architectural painting. me a demonstration of John Fowler's well-mannered( but never boring) approach to assembling materials, furnishings, pattern and colour in a way that is endlessly satisfying. 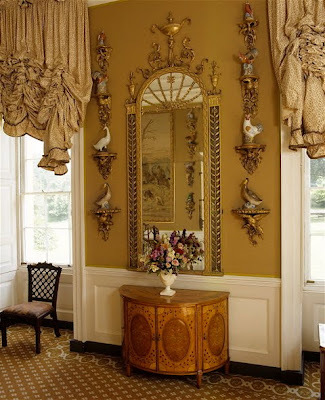 As mentioned earlier, Mrs Gubbay had a penchant for Chinese porcelain birds, and over the years bought a number of fine rococo brackets on which to display them in an authentic 18th century way. 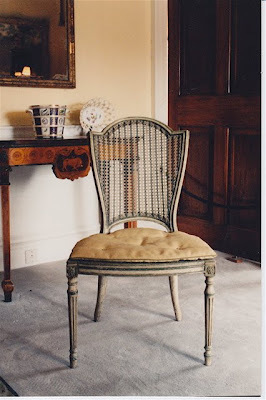 The room takes its name from a set of understated tapestries that were installed against an equally understated background of Mr Fowler's much loved diamond cloth dyed in tobacco brown and outlined, surprisingly, in a braid of sharp green grosgrain. 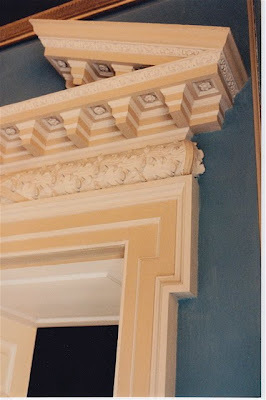 Typical of John Fowler's approach, the woodwork is dragged in 3 shades of stony white and the skirting boards follow the universal Palladian system of being painted off-black. with its elegant chandelier bag. now in the Morning Room. Note pancake squab cushion. 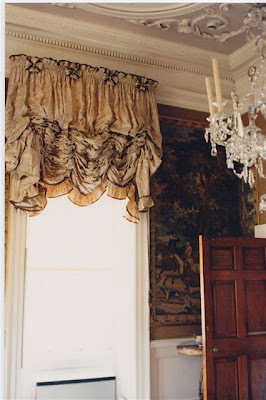 Festooned chintz at the windows in the Hunting Room. printed cotton in the brown and white Seaweed pattern, edged in bittersweet chocolate brown chintz and decked out in maltese bows at the headings. 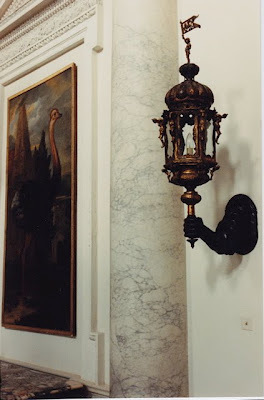 It was at this stage that I began to understand the brilliant counterpoint of elements both humble and grand~indeed, that was the secret of Mr Fowler's magic touch~but my musings were interrupted by an opinionated woman who was stationed in the room as guide on that particular afternoon. 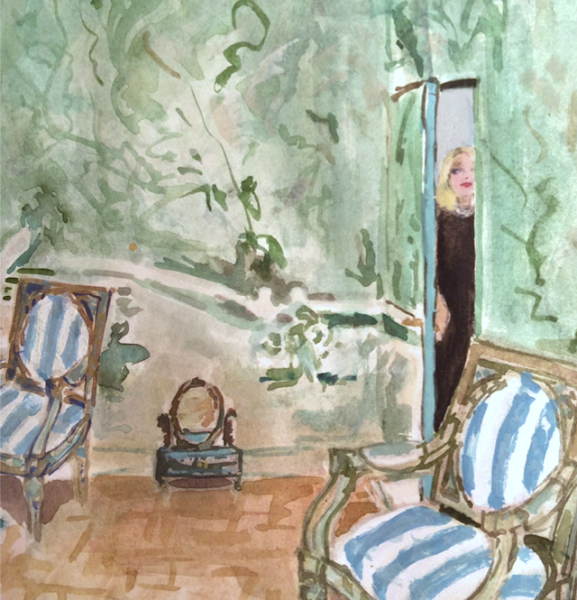 She gave those charming curtains a withering glance. 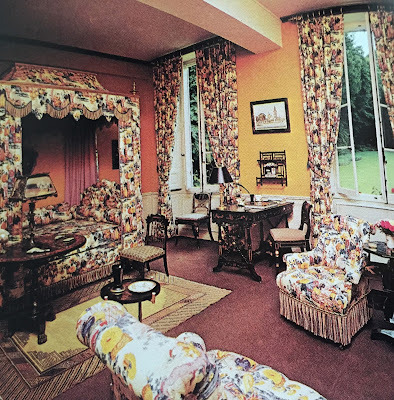 "All wrong, those curtains. Very Laura Ashley." A remark which seemed to me at the time, to be putting the cart before the horse. But nothing could deflate me on that occasion. From that point on, a sense of calm came over me regarding my own work~all doubts put temporarily to rest in the presence of this, the "real thing" that was before me at nearly arm's length, to study, analyze, and savor. No more guessing, or being teased by photographs in books or magazines. The details of a house have an altogether different impact when witnessed, like a meal actually tasted as opposed to the printed recipe. In this instance, what might have been a house of icy grandeur was transformed into something that met the highest aesthetic standards while putting the visitor completely at ease. 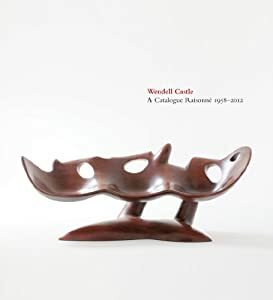 As James Lees-Milne said at John Fowler's funeral, "No art scholar whose learning had been instilled into him by professors, but one of nature's enthusiasts whose immense knowledge had been picked up by the wayside, John was the least academic of men. Yet nothing was allowed to stand in the way of getting a thing right."